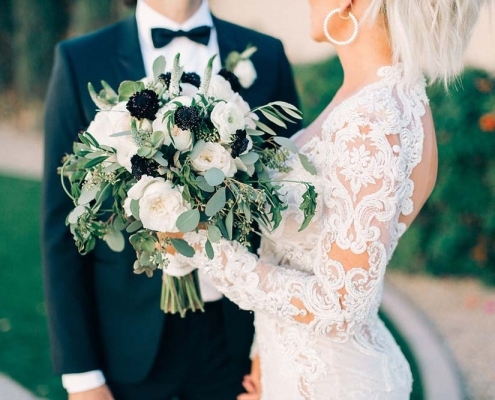 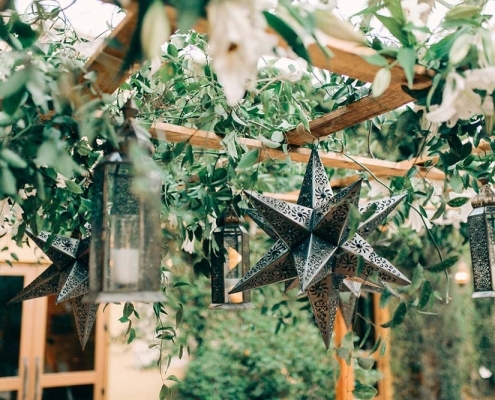 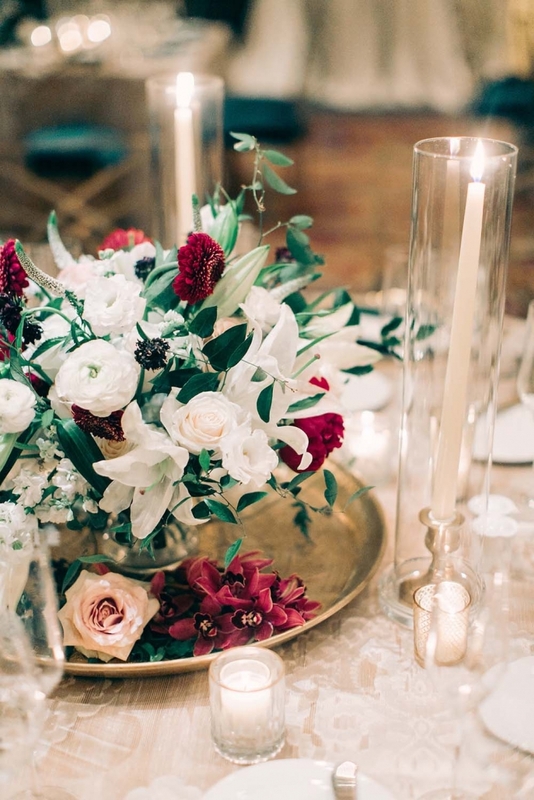 The magnetic aura of the East is the inspiration for this bride and groom. 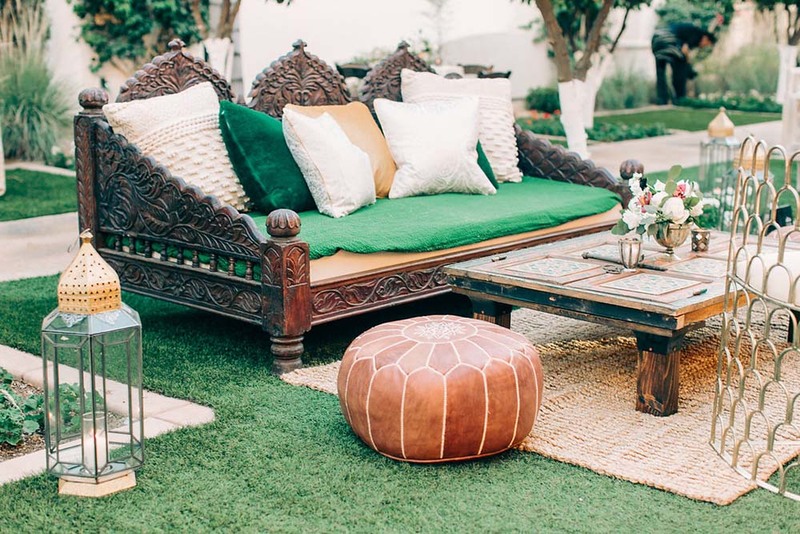 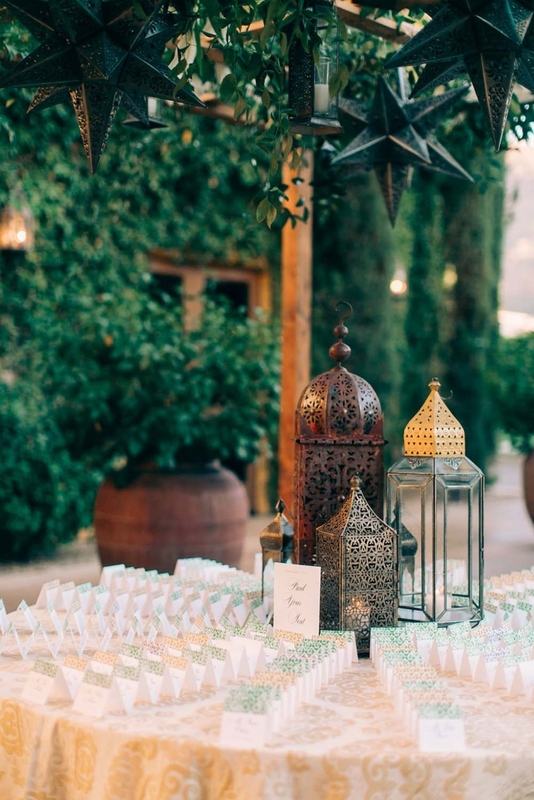 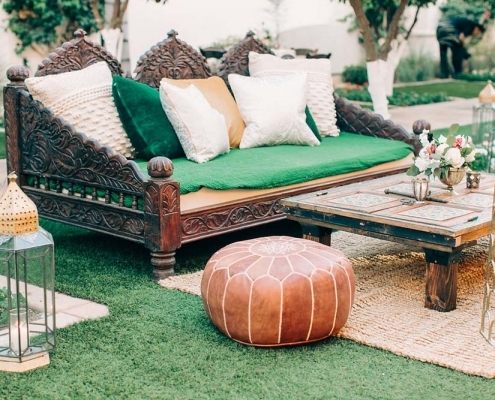 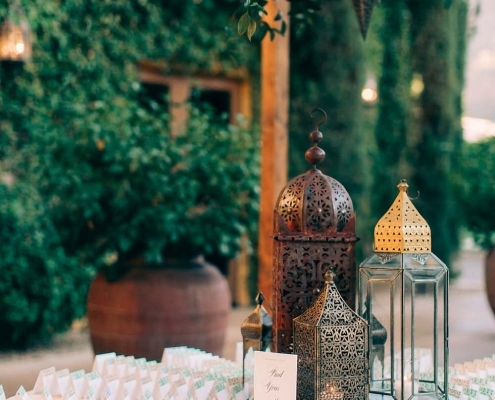 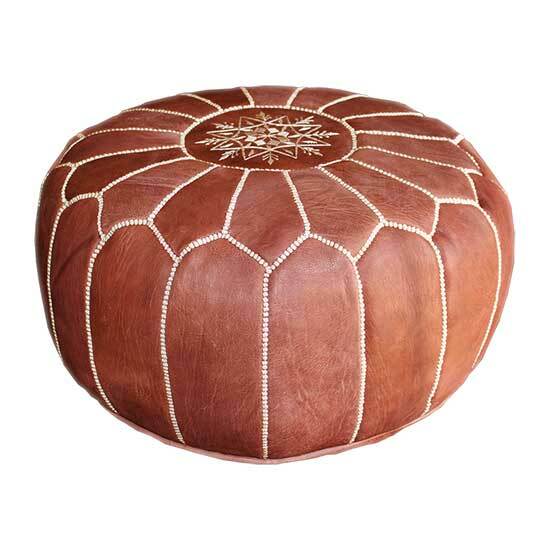 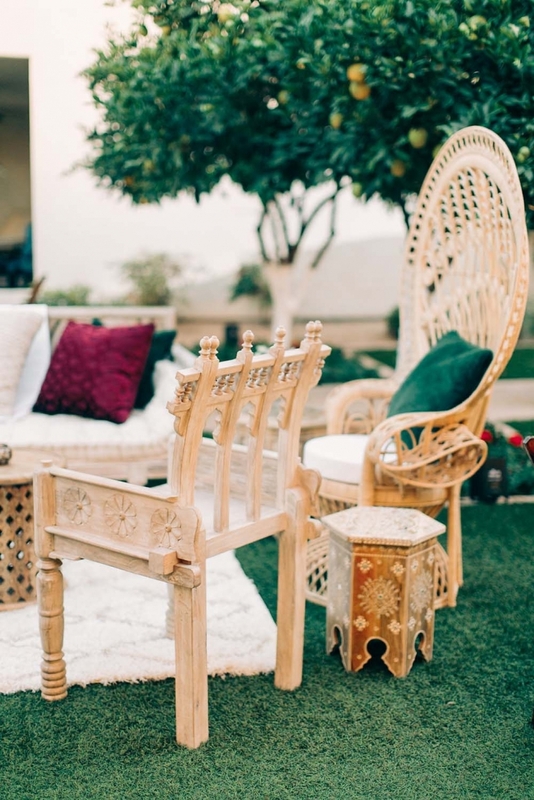 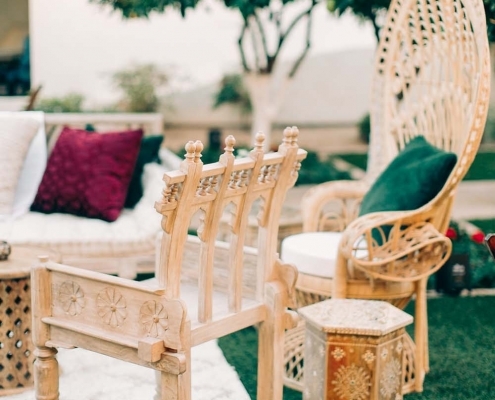 Dreamy Moroccan styled lounges are set up for cocktail hour, and then later transformed into hookah lounges. 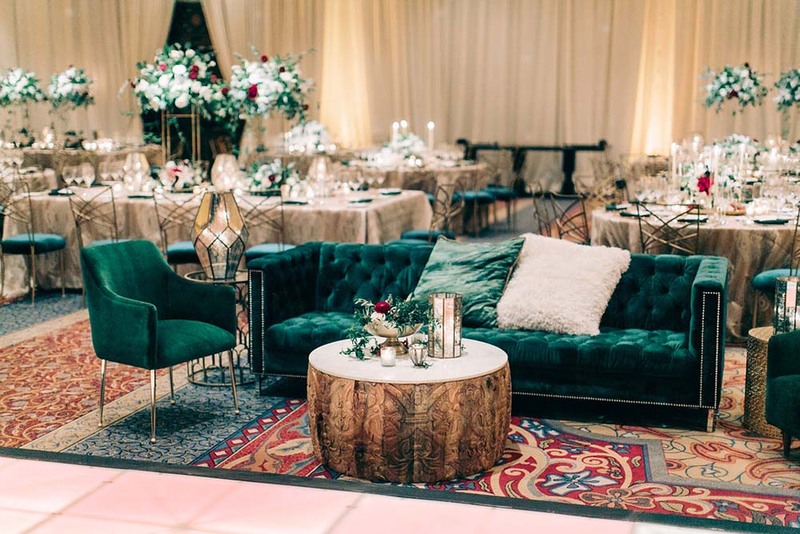 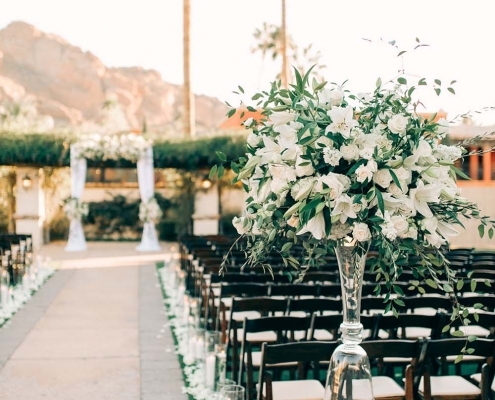 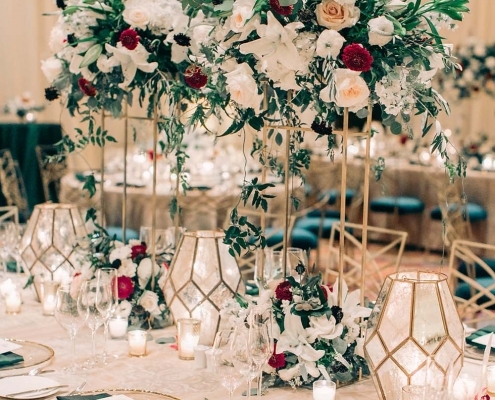 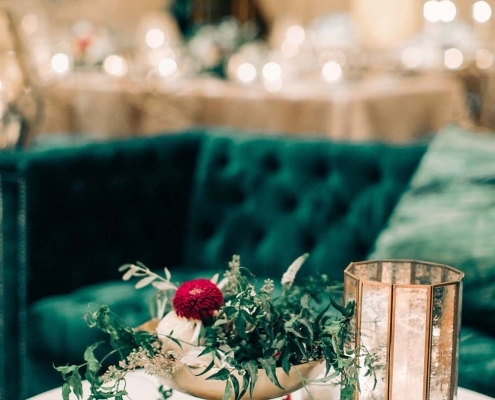 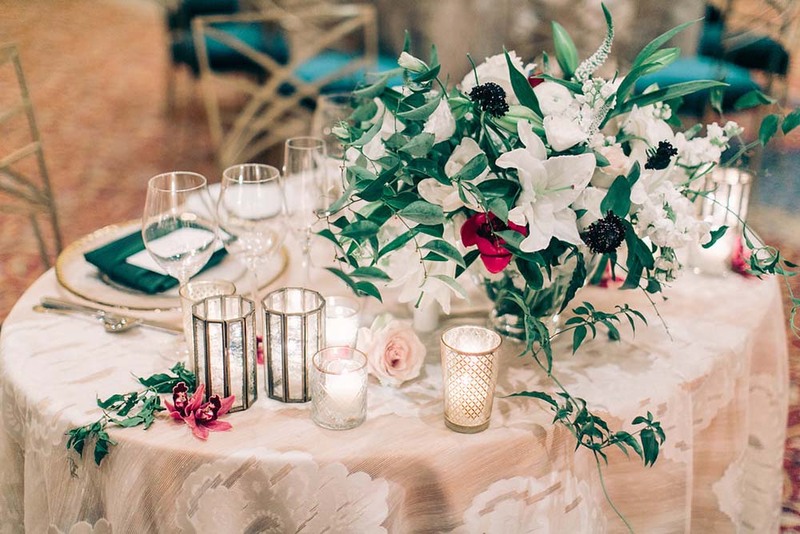 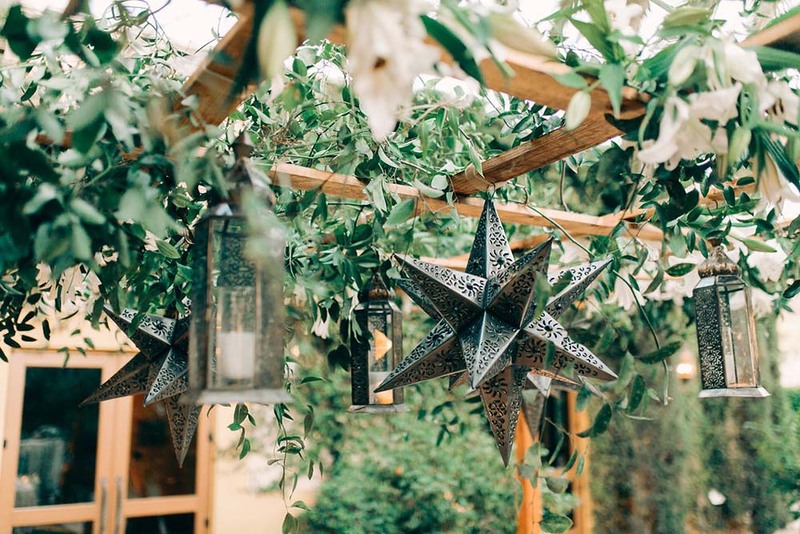 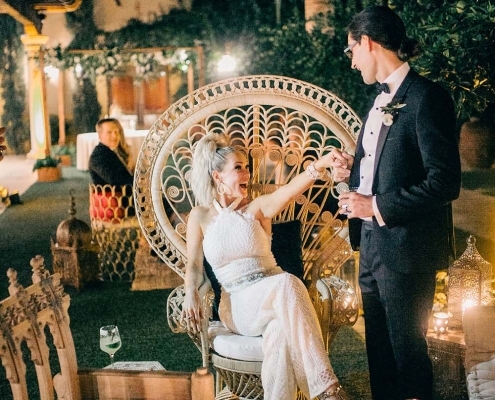 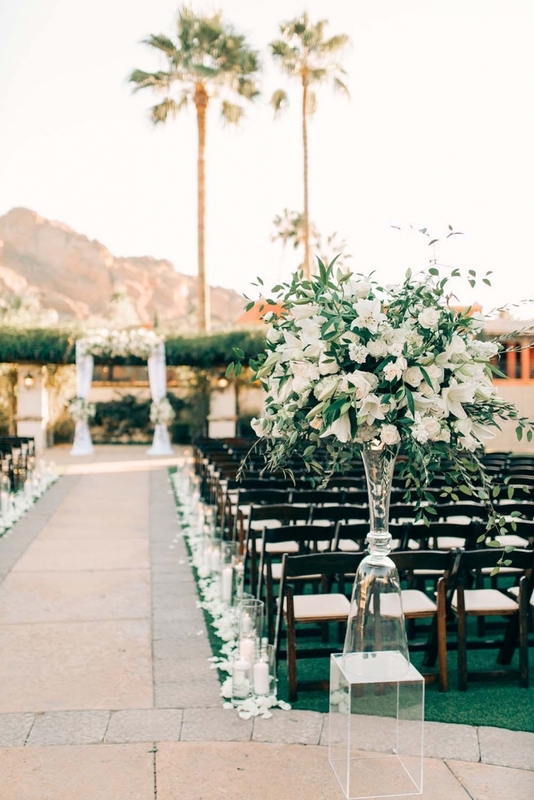 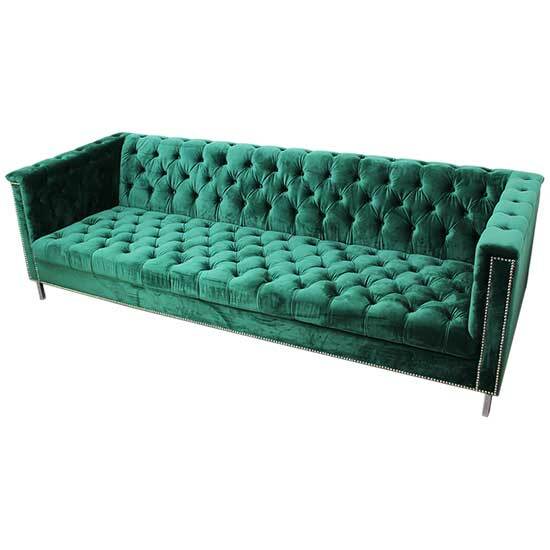 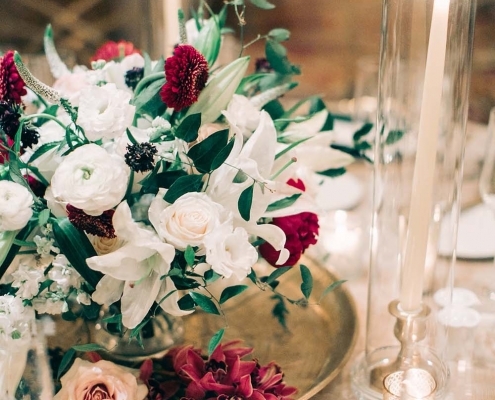 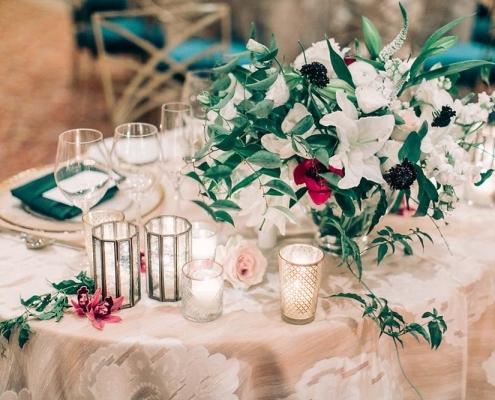 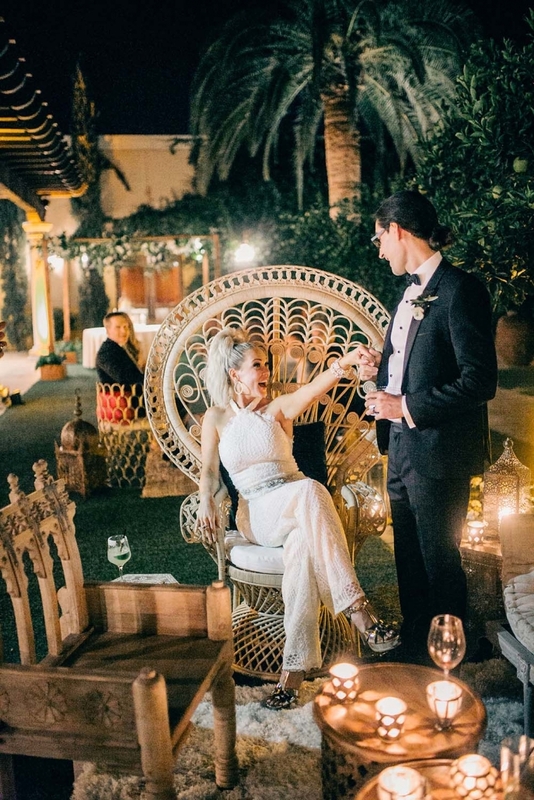 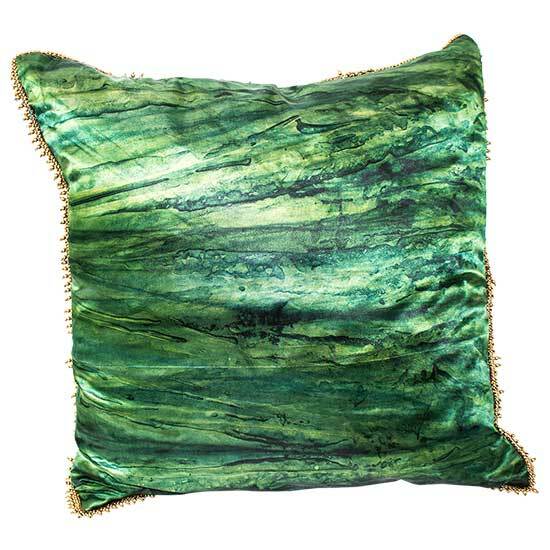 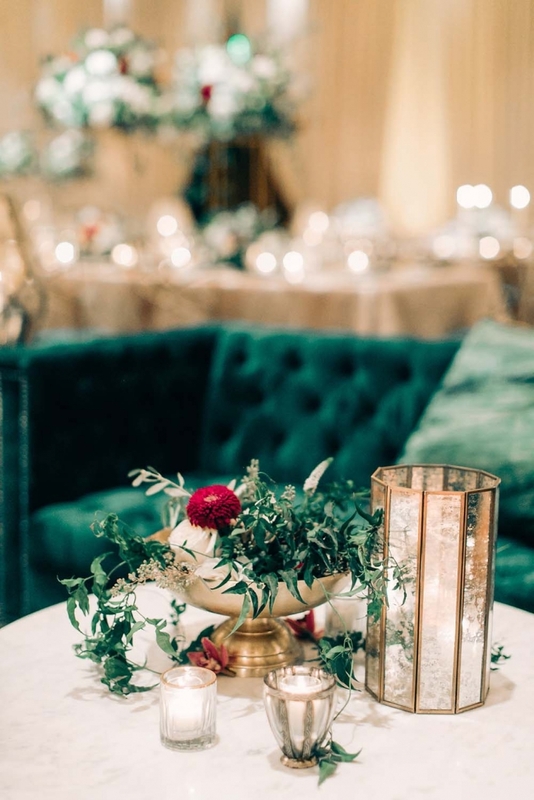 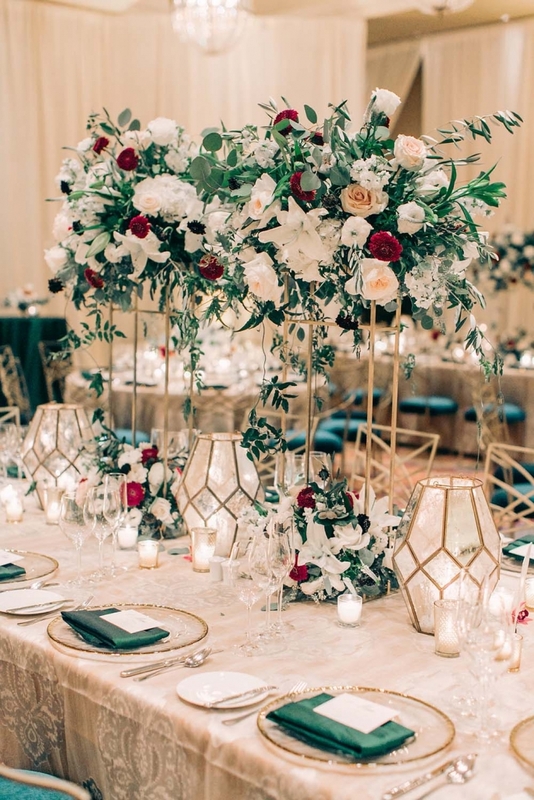 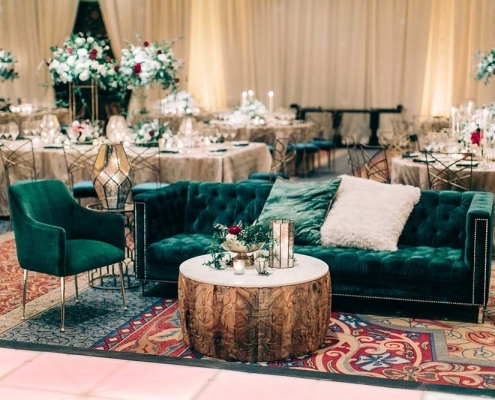 The reception room includes layers of rich textured linens, plush emerald velvet seating, metal lanterns with ﬂoral pieces designed in alternating heights.